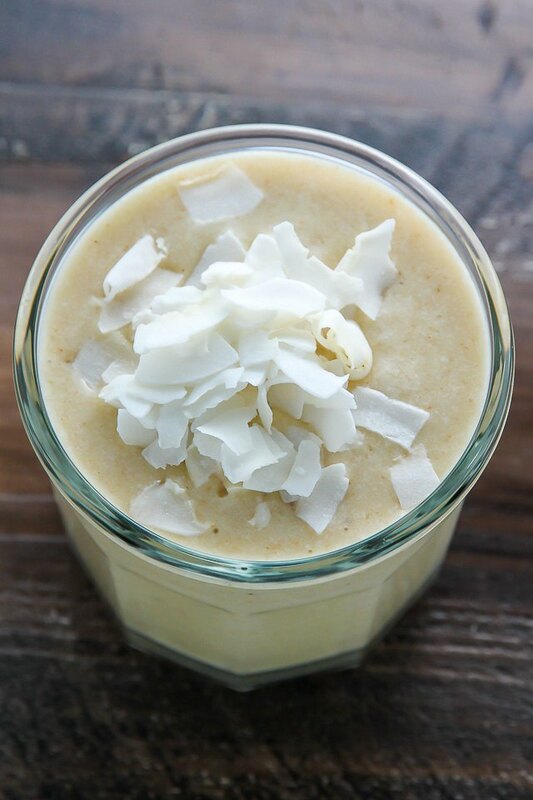 This smoothie tastes just like a slice of coconut cream pie. 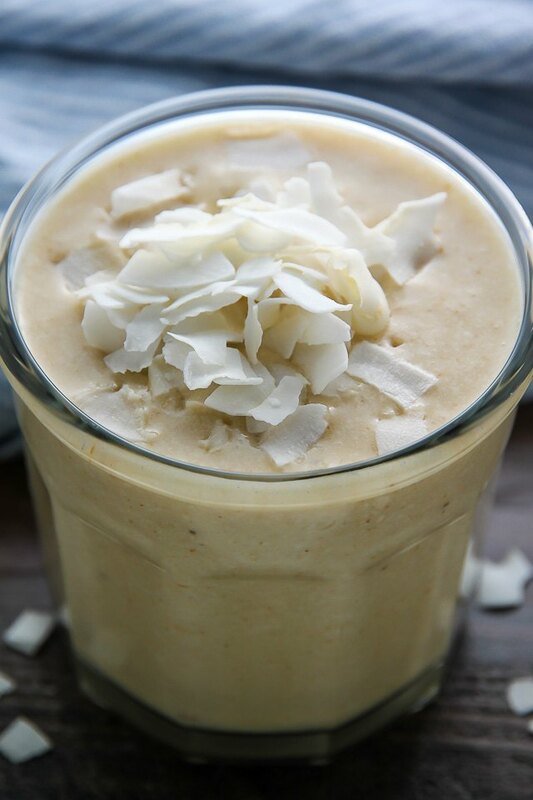 Rich, creamy, and refreshing, it's a delicious, healthy alternative to heavy holiday desserts. 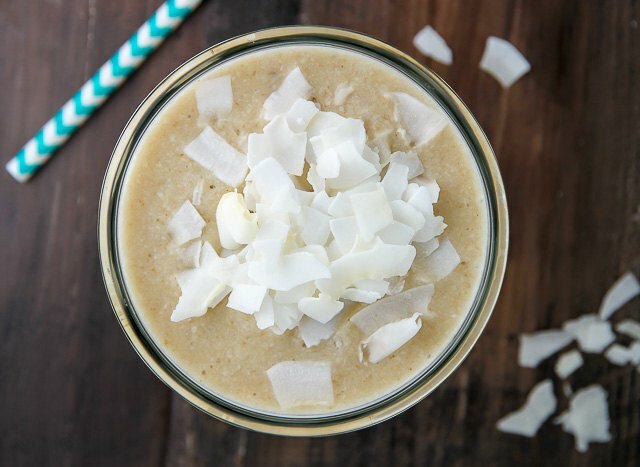 Made with simple ingredients like coconut milk, frozen banana, and graham crackers, it's ready to drink in just seconds. This smoothie is a breeze! You will need to plan ahead and freeze the banana chunks. Freeze the banana for at least 6 hours before blending, as frozen banana is the key to a creamy smoothie. This healthy treat is perfect for breakfast, dessert, or an afternoon pick-me-up! Is Whipping Cream Supposed to Be Chunky?